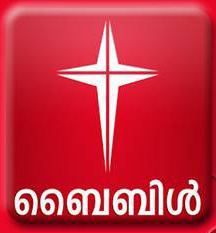 GOD - Christian Devotional Music Album, Music :M.Jayachandran, Singers: K S Chithra,Shreya Ghoshal,Sujatha,Swetha,Vijay Yesudas,Madhu Balakrishnan, Biju Narayanan,K.G Markose,Kester,Sudeep Kumar. 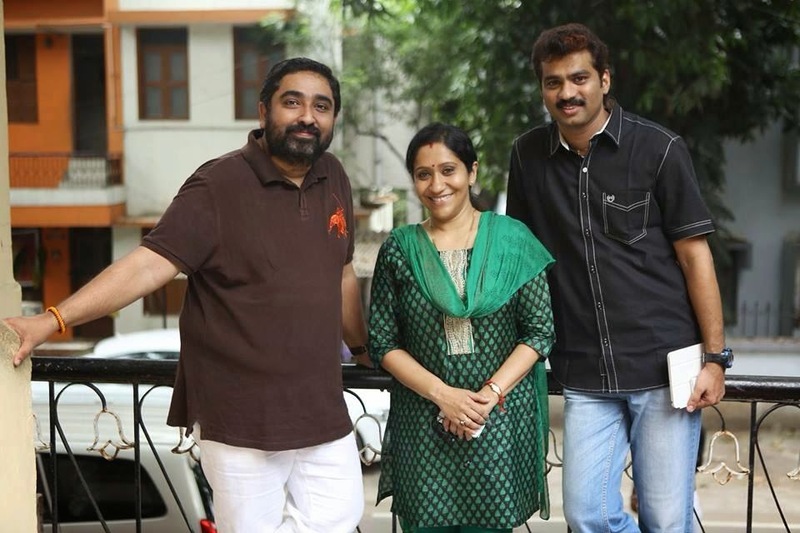 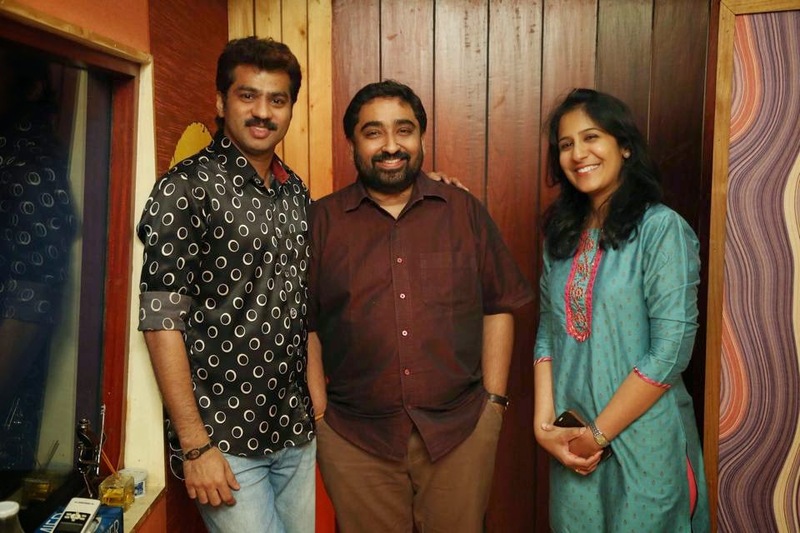 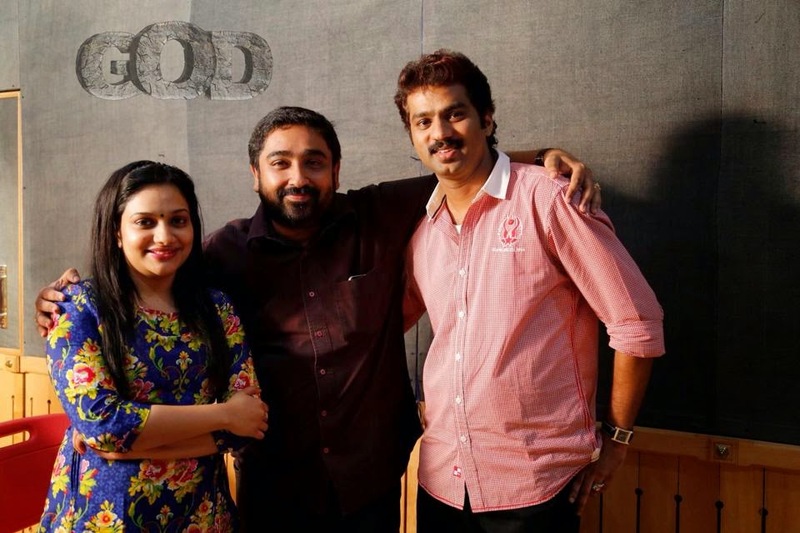 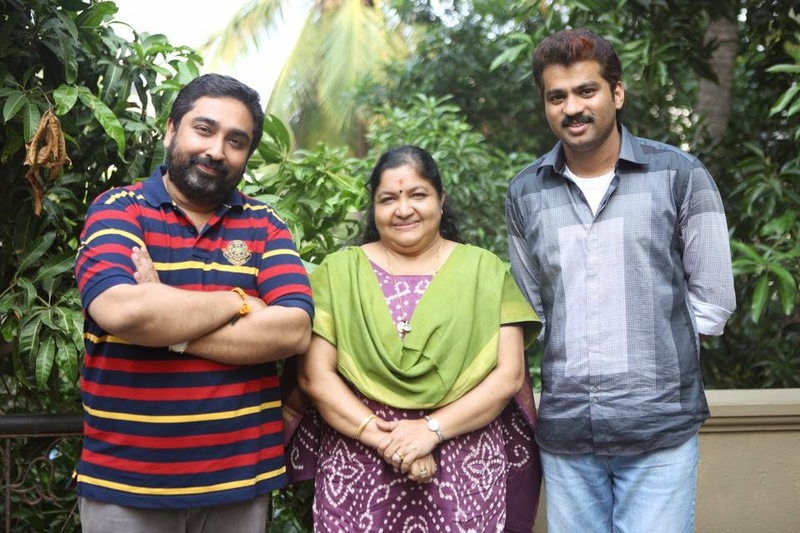 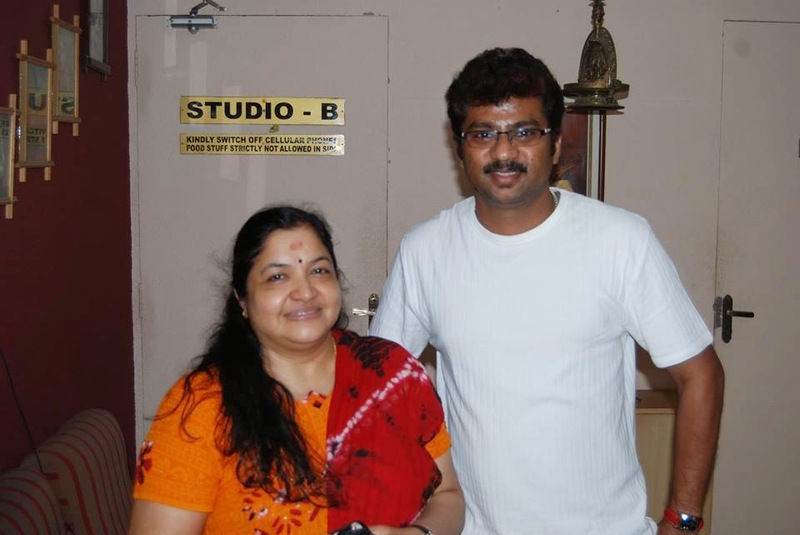 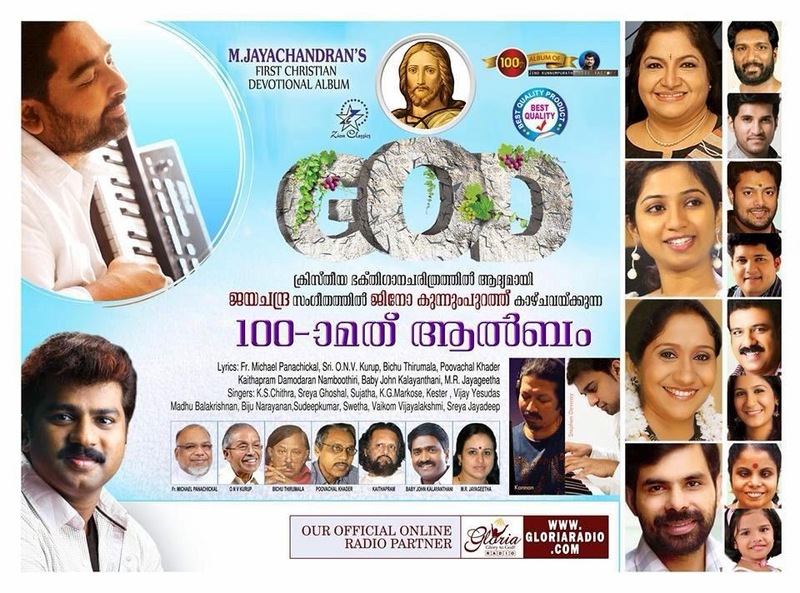 "GOD" is the 1st of M.Jayachandran and 100th Music Album of Jino Kunnumpurath. 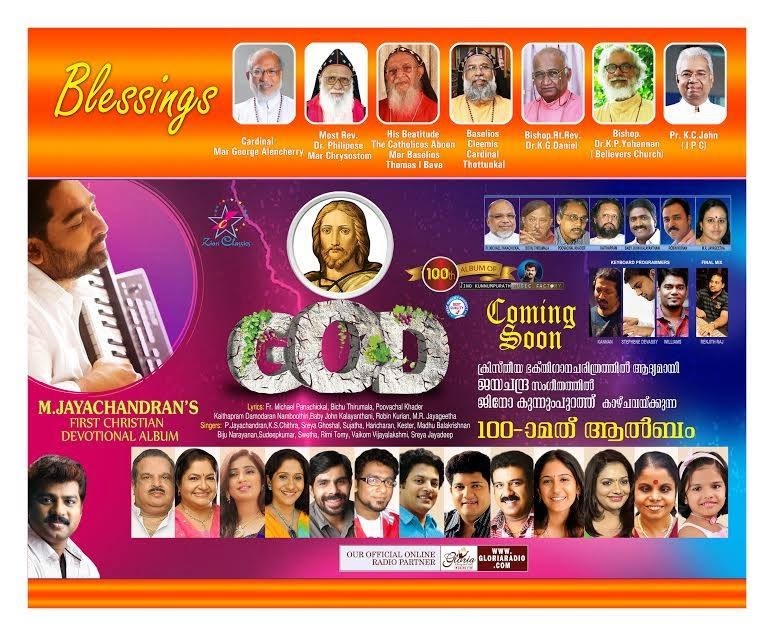 The Big Budget Christian Devotional Album GOD, the promotion of which was going on for the last one year has been released without any big celebrations which is being the most awaited album of every single one of you. 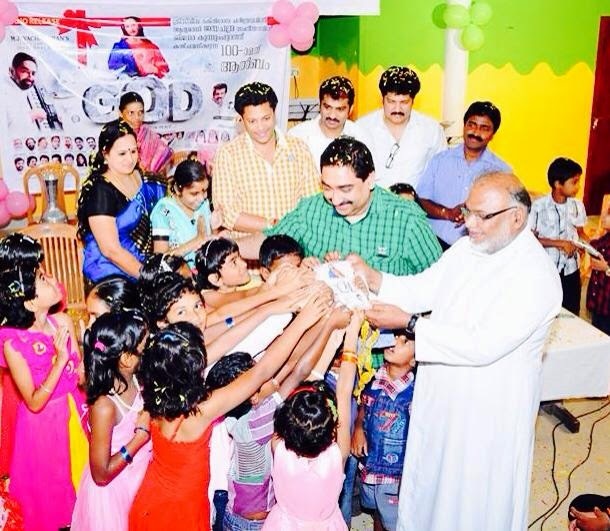 We have released the album in an heavenly place named 'Mother and Child' an orphanage in Thodupuzha, Mylacombu where there are 1000's of orphan children who have been left alone and we believe that there is the presence of JESUS CHRIST.The audio launch has been inaugurated by respected Rev.Fr.Michael Panachickal VC giving the album to the children of 'Mother and Child' in the presence of M.Jayachandran, Madhu Balakrishnan, Biju Narayanan, Vaikam Vijalakshmi, Shreyakutty and Baby John Kalayanthani. 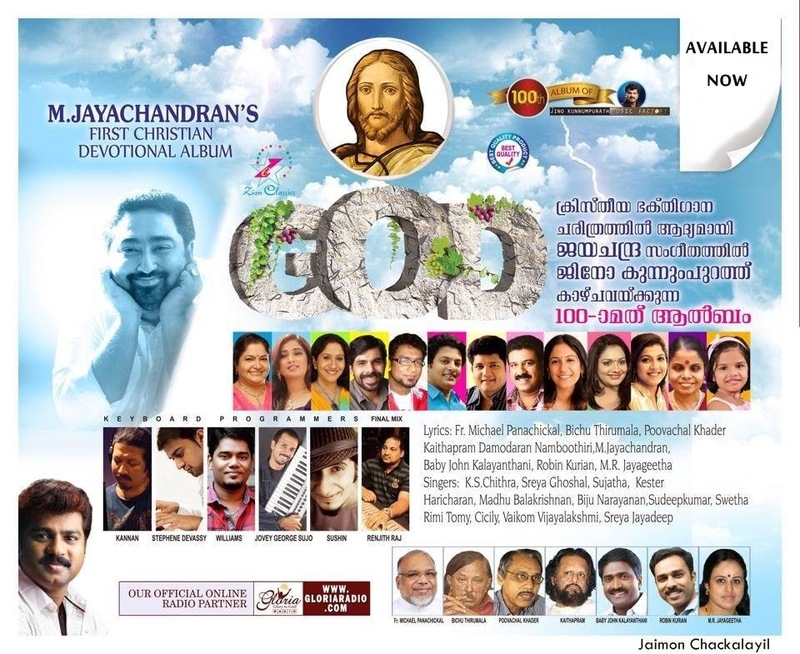 Within a week this album will be available in India including other 17 countries. 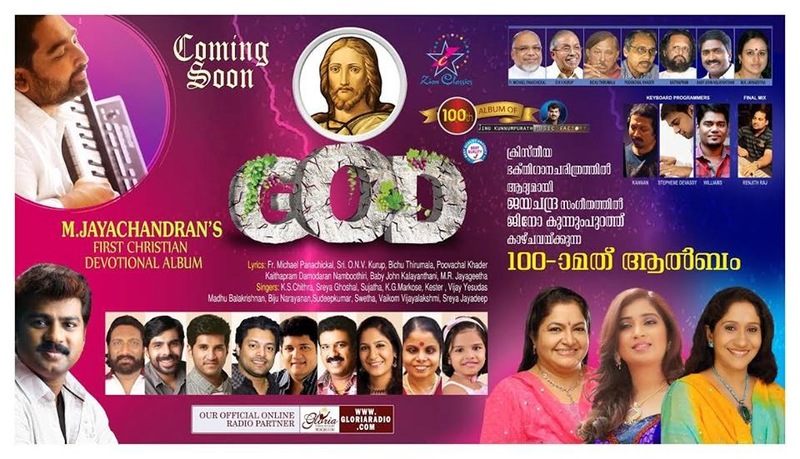 I'm not telling anything regarding the songs in this album, but i promise you all that this album GOD will be a very different one of the Christian Devotional Songs in which each of you will love to hear the songs of GOD album and will feel very happy. 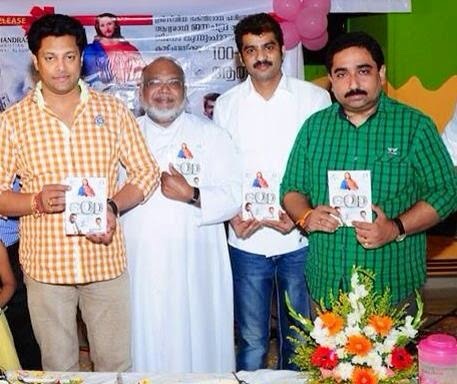 I request all of you to purchase the album with high quality 'ORIGINAL CD' and respect our one year hard work. 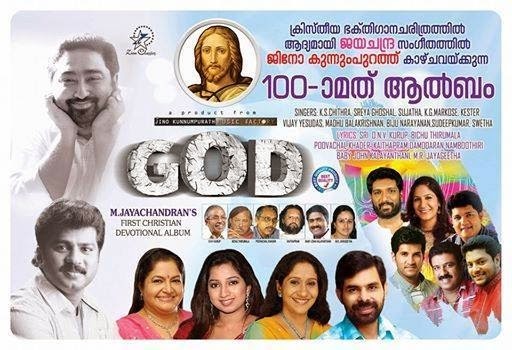 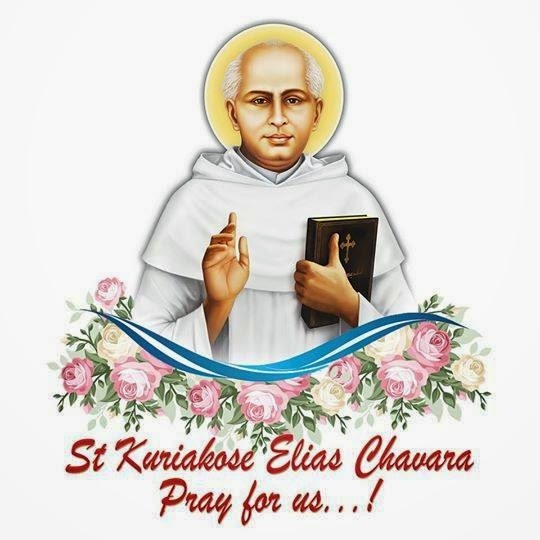 If you liked the songs of this album in any ways, do share it with your family and friends and spread it worldwide to all the christian believers.You will get all the details who to contact regarding the availability of CD in Kerala, India and including other 17 countries in the below given Website. 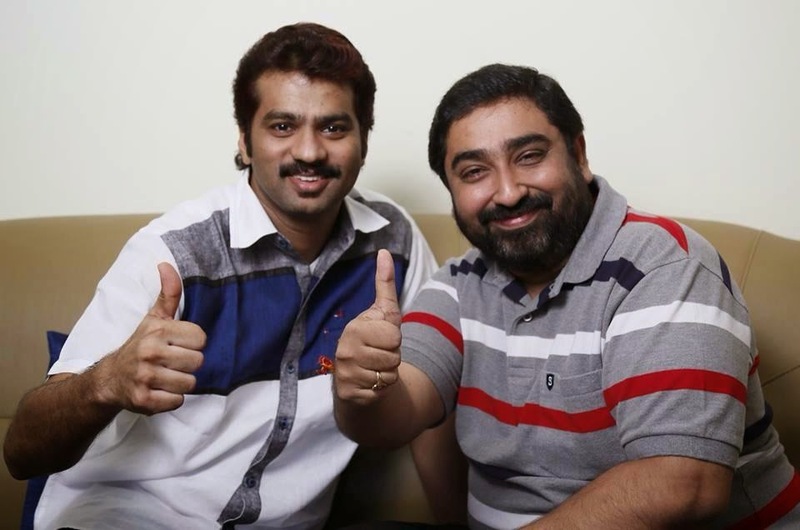 With the hope of every one's support ,prayers and love.Thanks a lot my dear brother Sri.M Jayachandran sir. 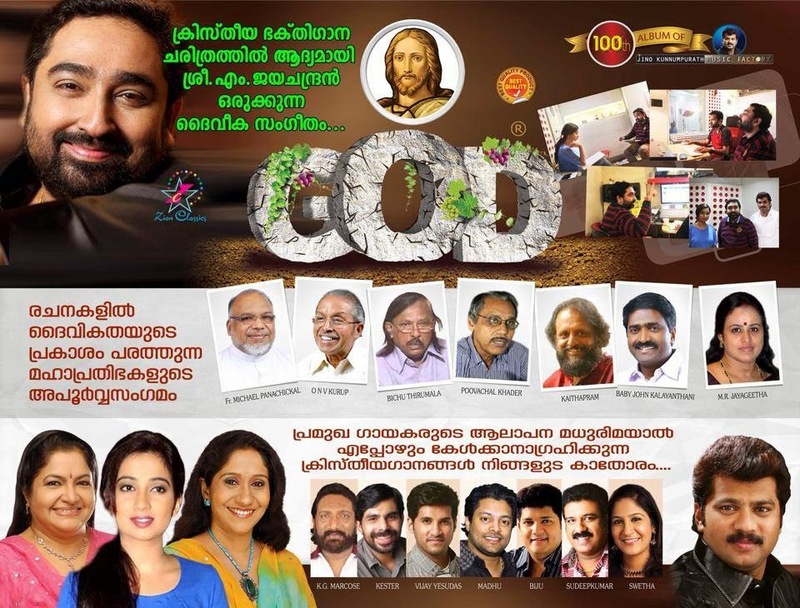 Singers: K S Chithra,Shreya Ghoshal,Sujatha,Swetha,Vijay Yesudas,P Jayachandran, Madhu Balakrishnan, Biju Narayanan,K.G Markose,Kester,Sudeep Kumar. 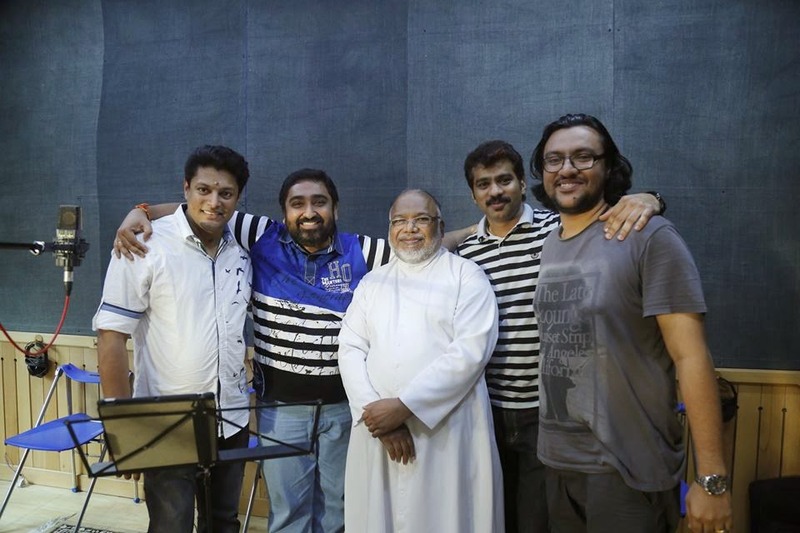 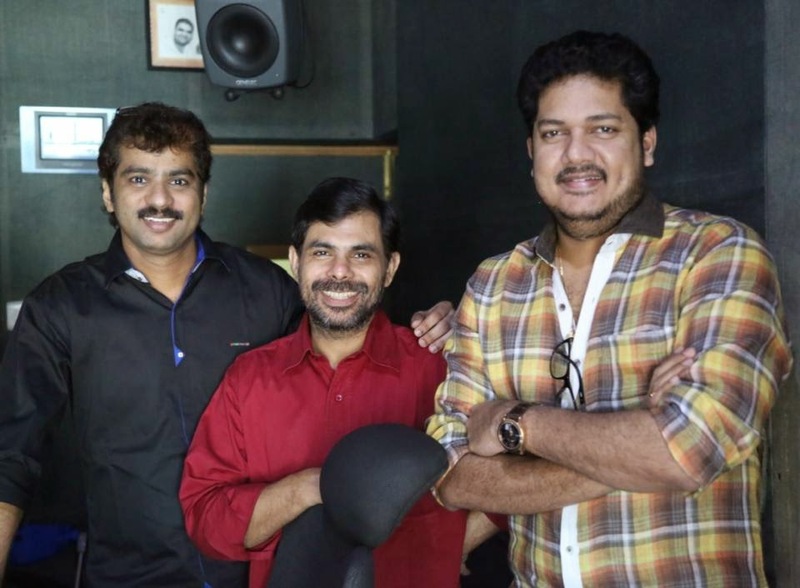 Lyrics-O.N.V.Kurup , Bichu Thirumala, Poovachal Khadar ,Kaithapram , Fr.Michael Panachikkal , Baby John Kalayanthani, M.R.Jayageetha.Keyboard programmer- Kannan,Stephen Devassy And williams.